Ah, MUA, how intriguing I find you. Your products are so cheap, so thrifty and often times pretty gosh-darn good quality, in spite of the minuscule price. I’ve been in need of concealer pretty badly for a while now. But what with me being broke almost all the time, a fancy cover-up wasn’t even an option. When I saw the MUA Cover and Conceal wand in my local Superdrug for less than two euro, how could I possibly have said no? I thought it might be a cheap dupe for the already cheap as chips Collection 2000 Lasting Perfection concealer (which is awesome; get it now, I IMPLORE YOU). Unfortunately, Collection 2000 Lasting Perfection it ain’t. It just… Doesn’t… Cover… You know? 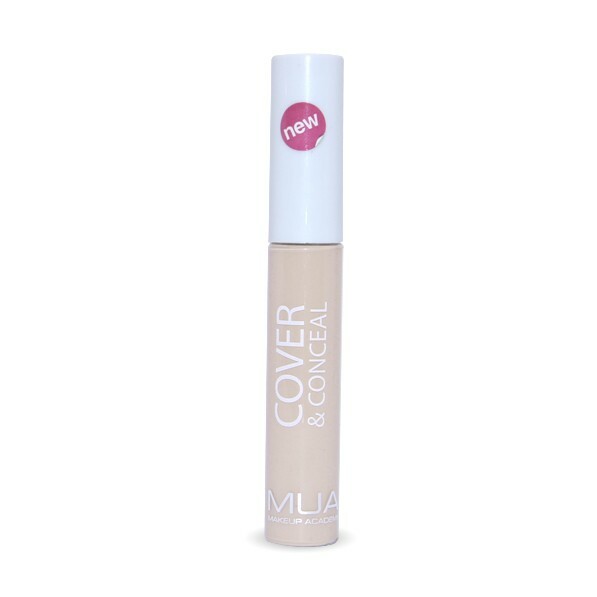 And I don’t know about you, but it’s sort of imperative for me that a concealer conceals. I’m pretty wild like that. I’m probably being a little too harsh. It does work, sort of, provided you apply several layers and wait a significant amount of time for it to dry into your skin before applying any sort of powder, lest you wipe off all your hard work. Believe me, that is what will happen. And let’s face it, ain’t nobody got time for that. The shade range is also extremely limited. There are only three shades and the middle shade was perfect for me, meaning that this stuff would only really suit if your skin is on the lighter side of transparent. In short, I wouldn’t really recommend the MUA Cover and Conceal Wand, as much as it pains me to say it. Unless you’re extremely short on cash, are a little desperate or you have blemish free skin (in which case why are you even purchasing concealer, silly?! ), there isn’t really much point in adding it to your collection.